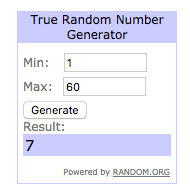 It’s time to announce this month’s challenge winner, and Random.org has done its job once again. #7 is Cat Craig! Thanks for playing along with us, Cat, please contact us for your prize from Hero Arts. Thank you so much to Hero Arts for providing goodies for our Design Team this month and for sponsoring our challenge winner. We surely do adore you. This month’s challenge was a hard one, masculine cards don’t come easy to all of us coloring, floral loving, sequin adhering crafters. Cute card from Kathy. Great images layered all together. Makes me want to barbecue. Heather made this card, and I say anything with an animal on it is a winner. Hope her brother-in-law loves it. 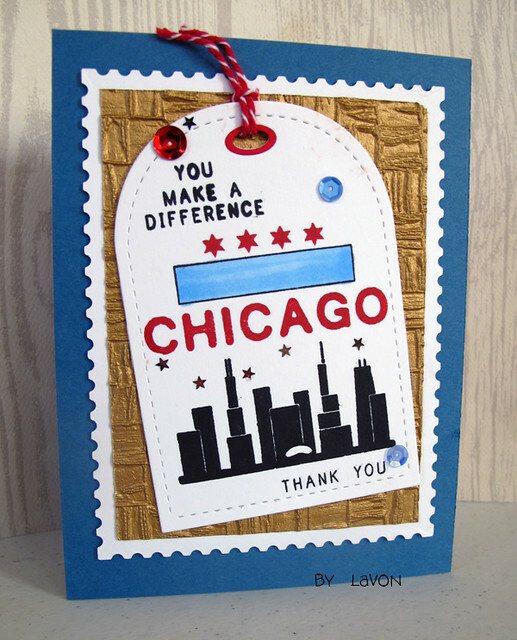 LaVon Hall made this for her neighbor, who is on the Chicago Police Department arson squad. That’s wonderful, LaVon. I love the sentiment behind it. Very sweet of you. Tune in tomorrow for our August challenge. You’re going to love it. Oh wow, great to be drawn! Thank you so very much. Not sure how to contact you, though. It was sent, thanks for the reply. congrats, Cat! 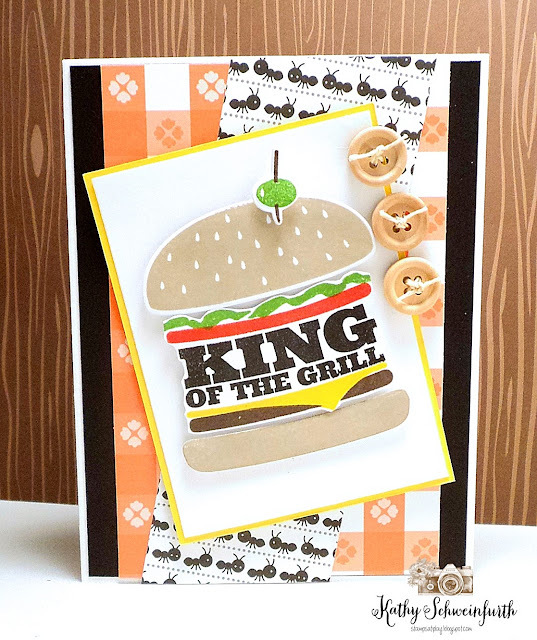 And to the lovely cardmakers featured here! Congrats to Cat and all favorites!